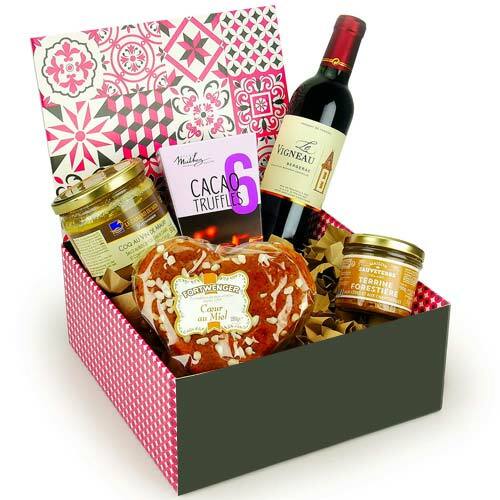 Description : Enjoy your holidays with your loved ones and this Exquisite Be Happy Fruits Gift Hamper packed with all exciting ingredients just to deliver fun. 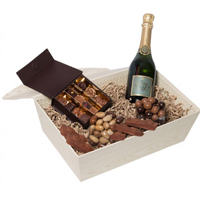 This sophisticated Hamper is the perfect gift for any food lover as it is embraced with Kiwi, Grapes Aledo Extras, Wiliams Pear, Kent Mango, Peaches Sugar, Custard Apples, British Grenadilla, Plums, Passion Fruit, Kumkats, Cape Gooseberry, Mangosteen Asian British Mini Bananas, Nectarines, Sweet Clementine without Pips Figs, Lychees, Ramboutants and Delicious Chocolate Balls filled with Praline Feuillantine and presented in a Maxim's Metal Egg decor Box inspired by the typical Art Nouveau design. 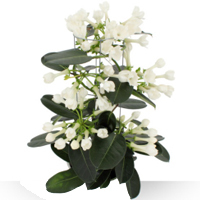 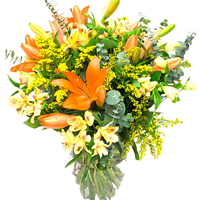 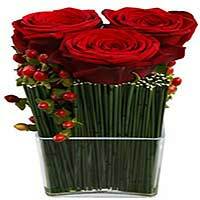 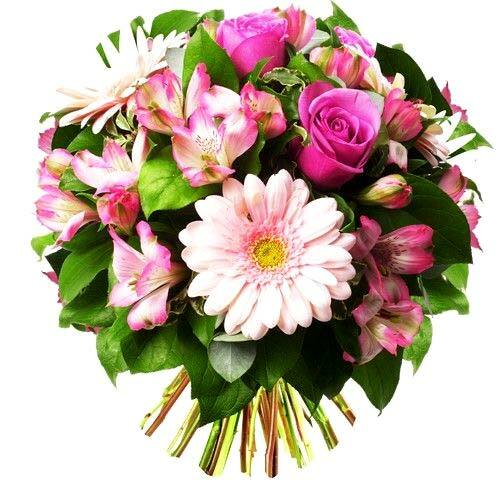 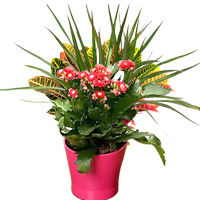 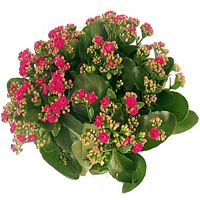 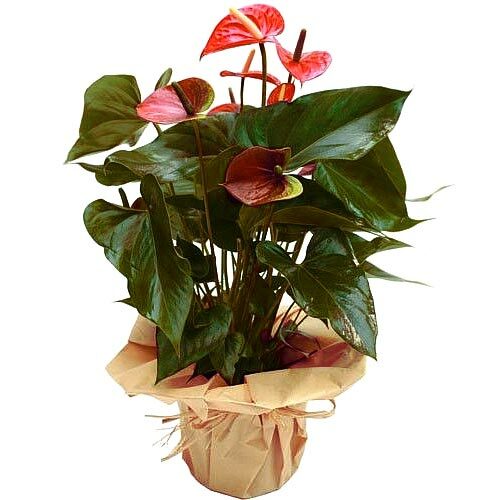 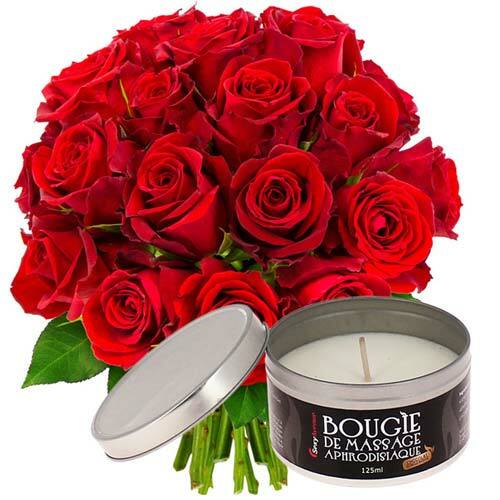 The decor of this Gift Hamper is enhance with beautiful Foliage and Gypsophila Flowers. 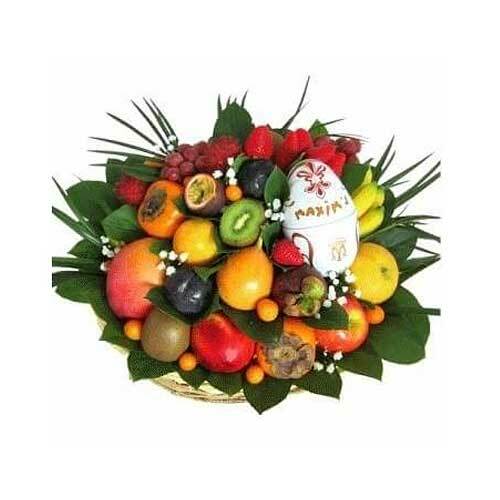 Note: Fresh Fruits will be delivered anywhere in France.